Set in the heart of the glorious Warwickshire countryside Yew Tree Farm lies in between the historical and picturesque towns of Stratford-Upon-Avon and Henley-in-Arden. Still a part-working farm, the courtyard and some previous farm buildings have been converted into commercial units with seating and free parking included. This stunning setting offers a great day out with historical attractions in the immediate vicinity offering opportunities to broaden your visit using Yew Tree farm as a base to return to. 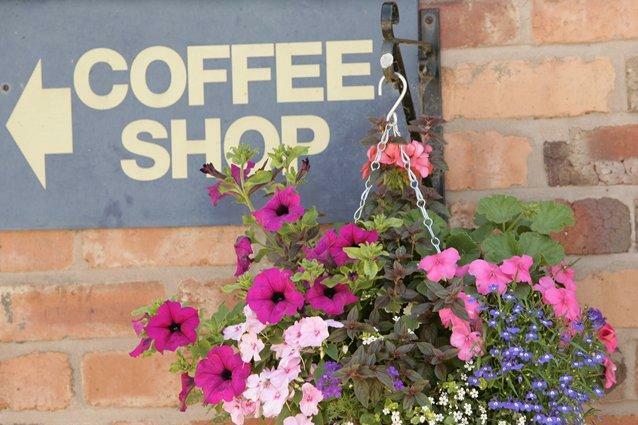 The Cow Shed Coffee Shop and Eaterie offers indoor and outdoor seating, award winning coffee, alcoholic refreshments and home cooked, fresh food from a diverse menu. And then there’s the shopping. With 16 Commercial Units the Shopping Village offers a place to browse a 10,000 square foot Garden Furniture Showroom, Lifestyle Clothing Shop, Antiques, Luxury Lingerie, over 150 varieties of Tea from Around the World and a Farm Shop packed full of fresh goodies. Plan your visit today – you won’t be disappointed.